With engraved Illustrations from Designs drawn on Wood. With the Life of the Author by Patrick Murdoch. Edited by Bolton Corney. 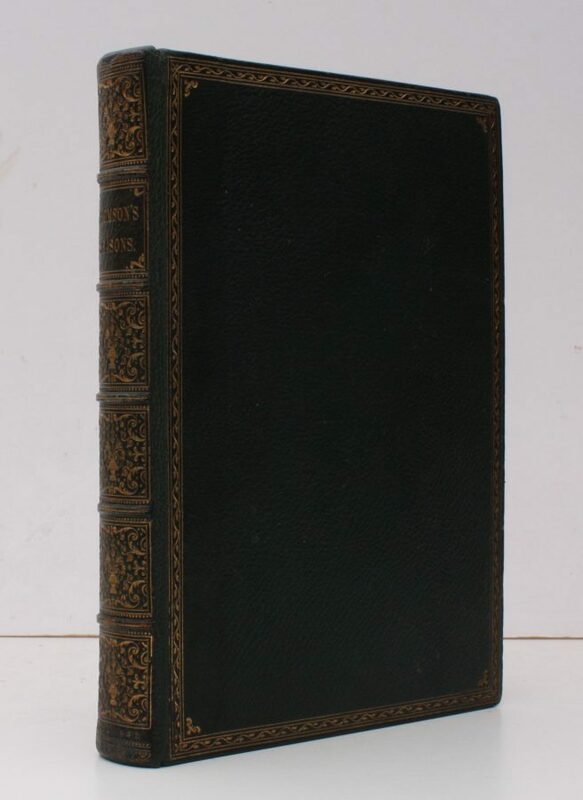 8vo., First Edition thus, with engraved and printed titles, and very numerous wood-engraved illustrations in the text; handsomely bound in green full crushed morocco BY HOLLOWAY OF LONDON, sides with multiple frame border enclosing floral fillet stopped at corners with sprays, back with five raised bands ruled in gilt, second compartment framed and lettered in gilt, all other compartments richly tooled in gilt with urns and flowers, gilt edges, gilt doublures, marbled endpapers, expertly recased, a most attractive copy ideal as a gift or for presentation. The binding is signed on front free endpaper verso. With the oval bookplate of Archer Ryland on front paste-down, and neat contemporary signature on front free endpaper verso. The illustrations are by Bell, Cope, Creswick, Horsley, Knight, Redgrave, Stone, Stonhouse, Tayler, Townsend and Webster.